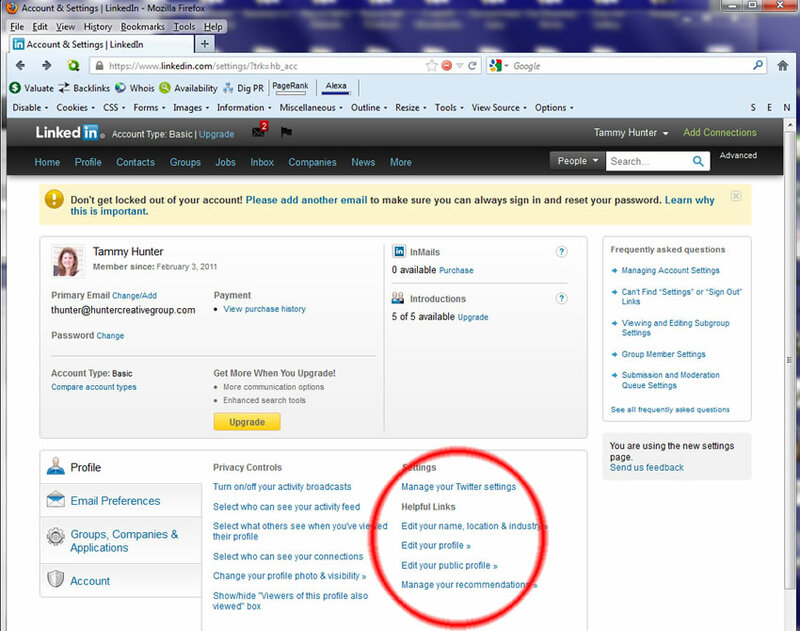 These simple and easy-to-follow instructions, for the basic LinkedIn.com account, will help you to find the badge code and add your LinkedIn page badge to your website. 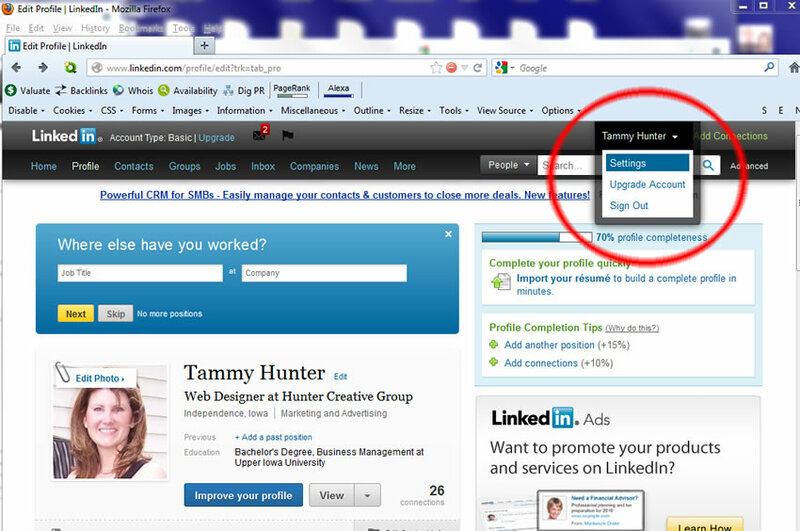 Once you are logged into your LinkedIn account, go to where it says your name at the upper right side of the page. Go to the section in the mid-top right side of the page where it says 'Profile Badge' and click on 'Create a Profile Badge'. 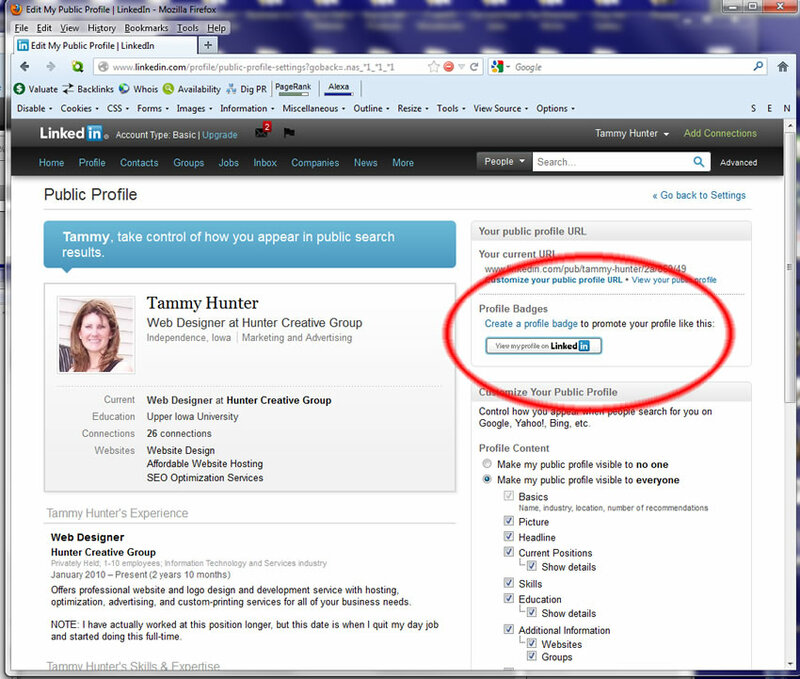 The profile badge is what you will be adding to your website. Decide which profile badge you want to use on your website and highlight ALL code in the box. Be sure to add this to a notepad (in your start menu under 'accessories') and save it as a plain .txt file so that you can safely add it (correctly) to your website pages. If Hunter Creative Group is doing your website work, send us your saved .txt file and we will add it directly to your web pages, where you would like it shown.